We have over 4,000 Sales Associates in more than 60 sales offices across the Tri-State area, who are ready to help with your home selling or buying needs. From the city to the shore. Explore homes, neighborhoods, and find up-to-date information on Pennsylvania's real estate market. Browse real estate listings, learn about school districts, and find your dream home in New Jersey. View listings, learn about neighborhoods and school districts, and discover your next home in Delaware. 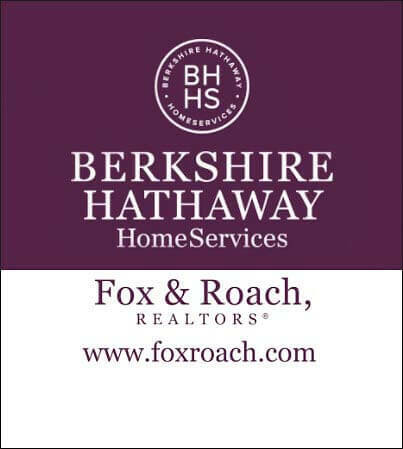 Berkshire Hathaway HomeServices Fox & Roach, REALTORS®, is a part of HomeServices of America, the nation's second largest provider of total home services. Through its affiliate, the Trident Group, the company provides one-stop shopping and facilitated services to its clients including mortgage financing, and title, property and casualty insurance.